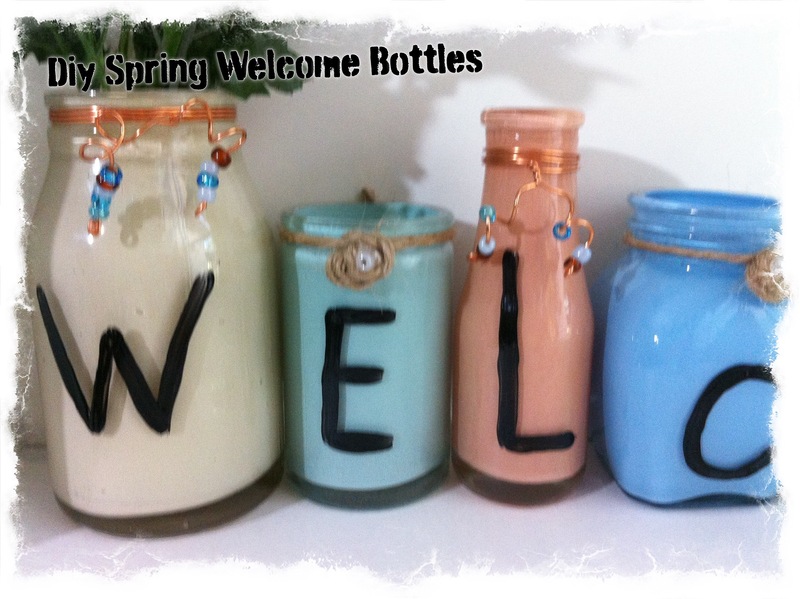 I’m a little late on sharing my colorful spring decor, altered bottles. But better late then never. I made these a while back and the pictures have just been sitting on my phone waiting for me to do something with them. 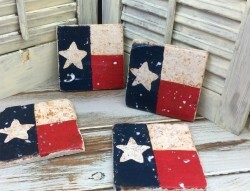 I had planned on taking them to my craft booth, but the hubby liked them and wanted to keep them. 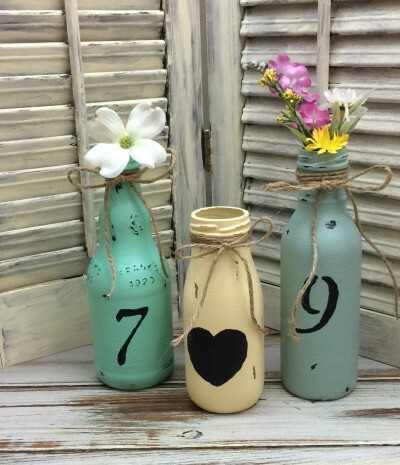 I will have to walk you through the steps on how to make these colorful spring decor bottles because I can not find the actual step by step pictures. But these altered bottle are really easy to make. First choose your color of acrylic paint for each bottle. Squirt about two tablespoons of your chosen color in your bottle, then turn the bottle over and let the paint run down turning as it runs till you have the inside completely covered with paint. Sit your bottle upside down on a piece of wax paper. Choose the next color and bottle and repeat till you have all bottles covered in paint sitting upside down on wax paper. Let sit upside down about an hour then flip Upright and clean the top rim of the bottle. Let dry another hour then flip over again upside down to finish drying. Once dry I used black acrylic paint to add my letters to each altered bottle. 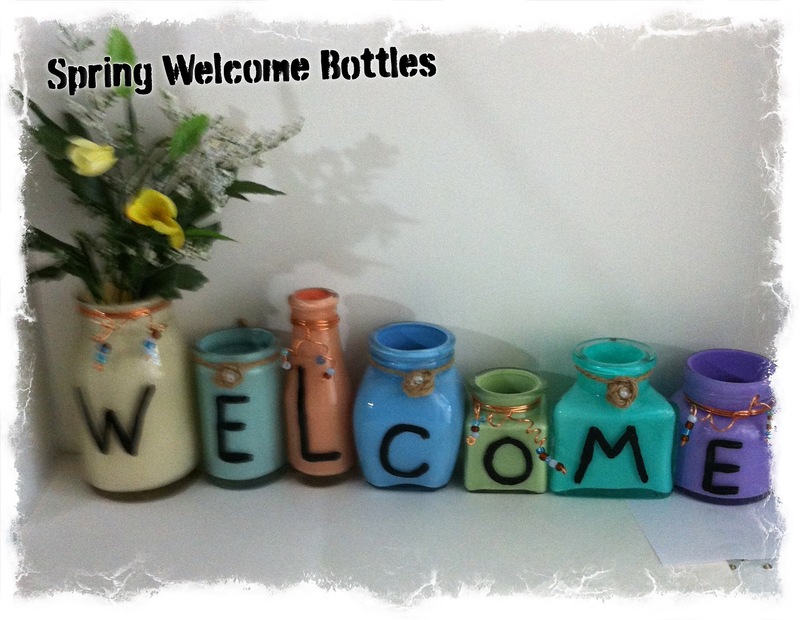 If I would of thought of it I would of used puff paint on my colorful spring decor, altered bottles for the lettering. 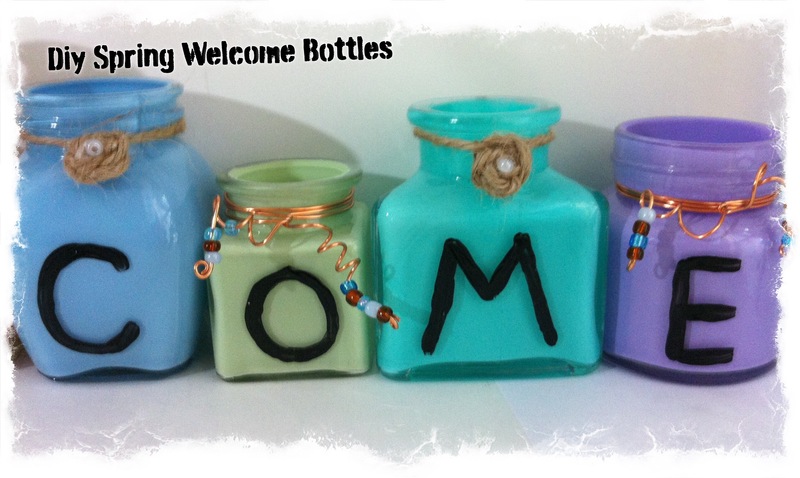 Once the letters are dry I used jute/twine, copper wire, and beads to decorate each bottle. You could also use fabric strips or lace, that would be cute tied around the necks of each altered bottle. How cute! And very clever. I bet there are a lot of things that can be done for holidays. I’m going to have to bookmark this in my holiday decorating folder so I remember to come back. Thank you Robin! Thanks for stopping by! 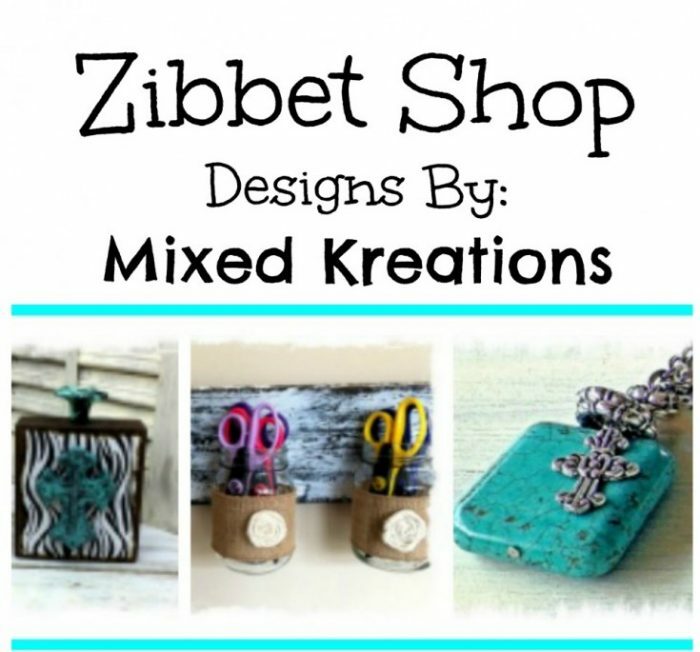 I usually seal my projects with Mod Podge, I don’t know if that would work. They sell different types, and I know one is for coaster, which get wet. But I don’t know whether it would work or not. Might try on one. This is really cool! I’m not big on DIY projects. 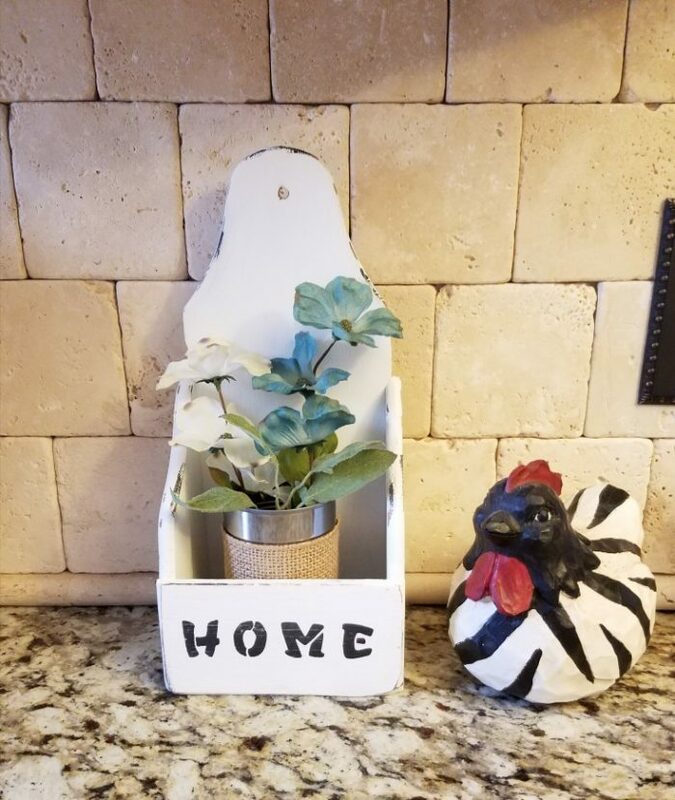 My attempts almost never come out the same as what I see on Pinterest haha but I applaud those who are able to save a little money and make cool crafts like this! Thanks Keating! 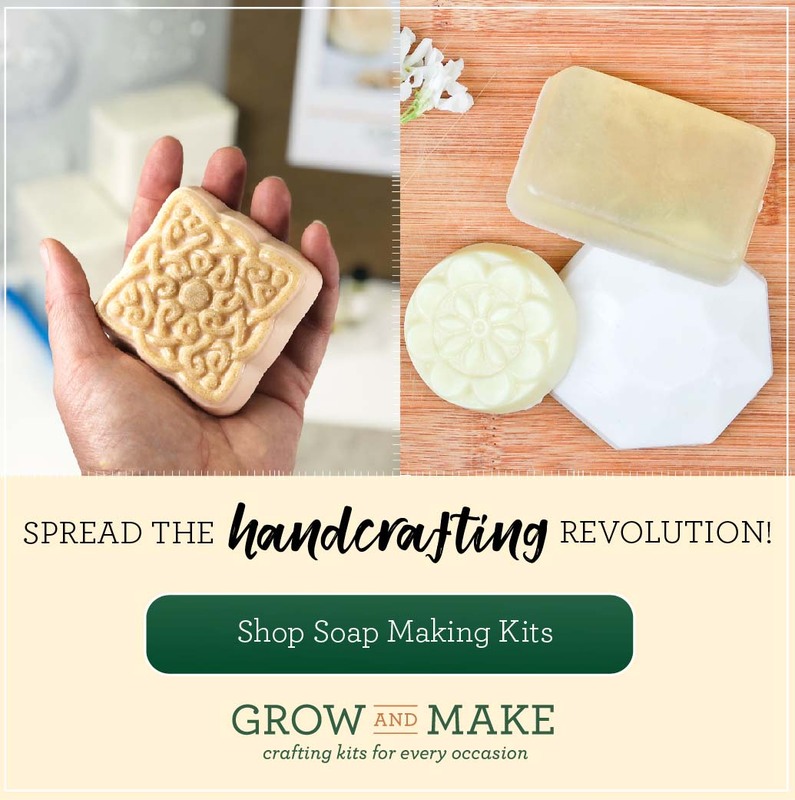 I have always loved creating things. Don’t give up you may surprise yourself. Have seen this on Pinterest a few times, but I’ve never tried it. Looks great! Very cute. I love reusing glass bottles for home decor. 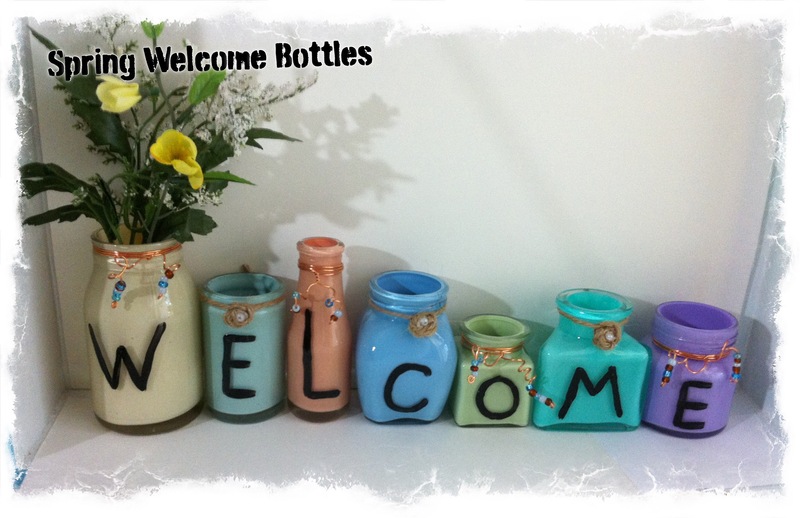 I’ve done several projects with bottles on my blog too. Thank you Erlene! 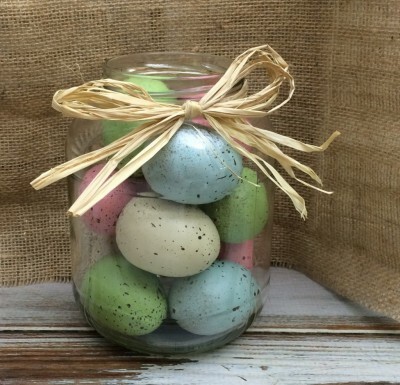 I love crafting with bottles and jars too, so many things you can use them for. 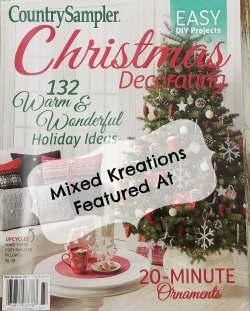 I love this idea and have the perfect idea on how to incorporate this into my house. Awesome! Nichole MIller recently posted…5 Fandom Friday and A Tea That Will Wake Your Assam Up! Thanks Nichole, and thanks for stopping by. 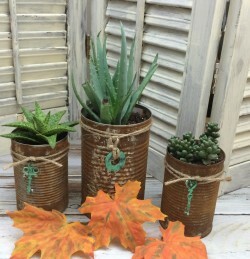 Adorable project- I would like to try with some vases and jars I have laying around. Thanks Lindsay! That would be pretty, and it’s so easy to do. Hi Kelli! 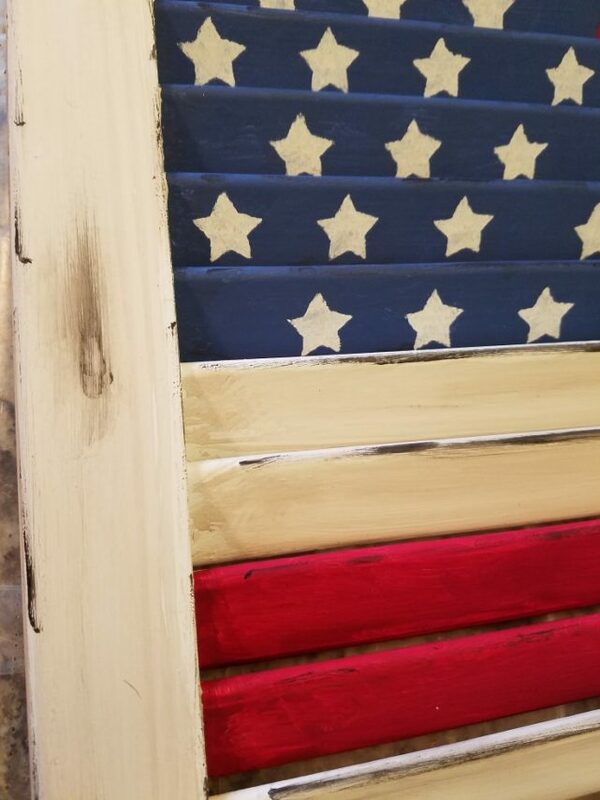 You should get you some, this is and easy project and I just love how the colors turned out. I have a box of bottles, I can’t help myself when I run across cute little bottles. 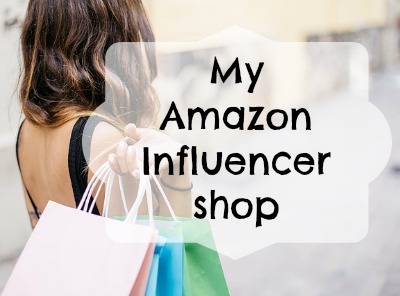 So I just keep buying. 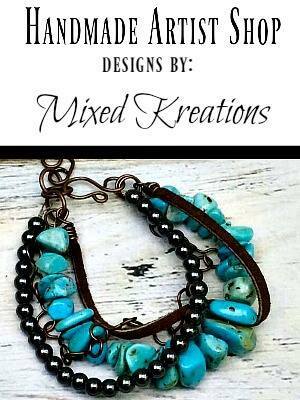 I love this awesome upcycle Linda! I never thought of painting bottles this way. I think it’s better than doing the outside. Thanks Florence! I do like how it looks with this technique, only problem is if you want to made vases that hold fresh flowers you wouldn’t be able to add any water.